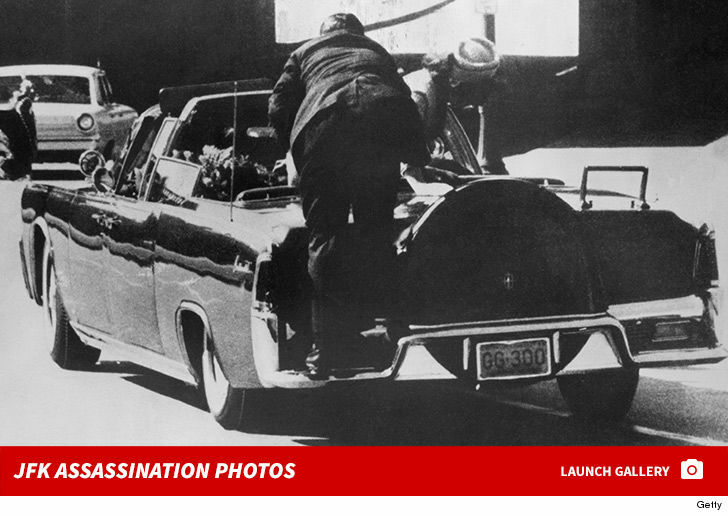 The Secret Service agent who jumped up on President Kennedy's Lincoln Continental to protect Jackie Kennedy doesn't think the soon-to-be-released secret assassination documents will amount to a hill of beans ... he's convinced Lee Harvey Oswald was the lone gunman. We got Clint Hill on the Georgetown campus Thursday, and this guy knows everything JFK ... he was with him all the time. Watch the clip ... our photog asked about what seemed pretty well established -- that JFK had an affair with Marilyn Monroe. Hill poopoos it, because he was on Kennedy like white on rice.